Whilst it’s great to see a diverse range of bees, hoverflies and butterflies visiting my “wildlife garden balcony”, it’s also great to spot an insect visitor which I’ve never seen there before. 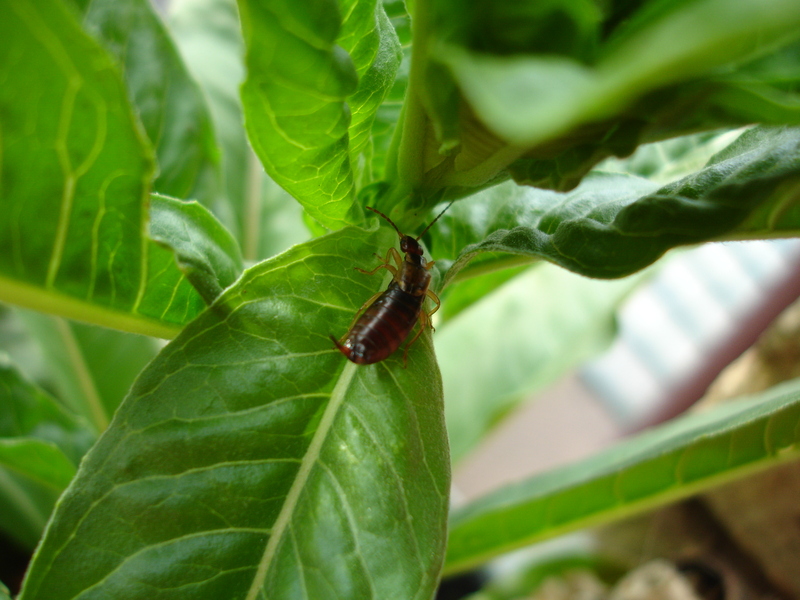 This earwig was recently spotted on one of my plants during the daytime, which is unusual as they are usually nocturnal creatures. ” Earwigs are 8-18mm long. A small smooth elongated brown insect with a pairof pincer-like appendages at the end of its abdomen. They have a pair of fan-like hindwings that are normally folded away behind the thorax and hidden under their short leathery forewings. Males and females can be distinguished by their tail pincers, which are more curved in males than females. They are found all over Europe but have been introduced to many other parts of the world. 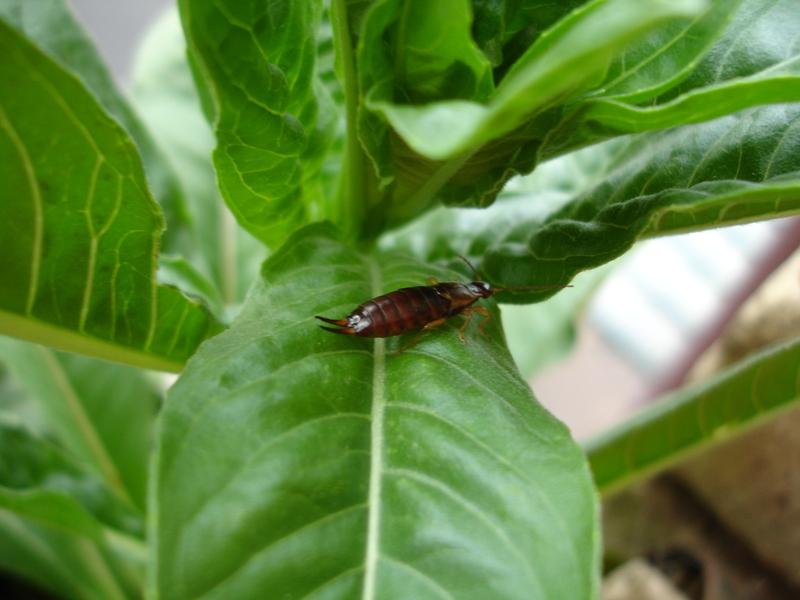 Earwigs can be found in damp crevices in houses, gardens and woodland. They feed on decaying plant and animal matter and other insects. Earwigs rest during the day inside damp crevices such as under bark or in hollow plant stems. They are scavengers and emerge at night. Their pincers can give a small nip to a human but they are normally used to scare away predators and to help them tuck their wings away. The female lays eggs under stones and in crevices and will stay with her eggs guarding them. From time to time she will gently clean the eggs with her mouthparts to prevent fungal infection. She will continue guarding her young, which look like miniature versions of their parents, until they have grown large enough to fend for themselves. They are not listed as endangered on the IUCN Red List. Have just discovered your lovely blog. I’m moving into a flat with a balcony for a while and have picked up some fantastic tips – thank you so much. I will keep checking for new posts. hi, love your site, the meadow in a dustbin lid is inspired. Would you do a link with my Dawnchoruseducational blog…it is eco.vegan,community themed…?